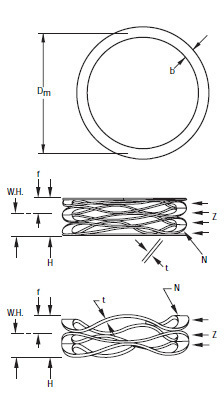 Crest-to-Crest Spirawave flat wire compression springs are pre-stacked in series, decreasing the spring rate by a factor relative to the number of turns. N must be in ½ wave increments. Z = Number of active turns.